Primary, baby or milk teeth have a very vital role. They help direct the growth of the jaw and they hold space for development of the adult teeth. They help with chewing and aesthetics. 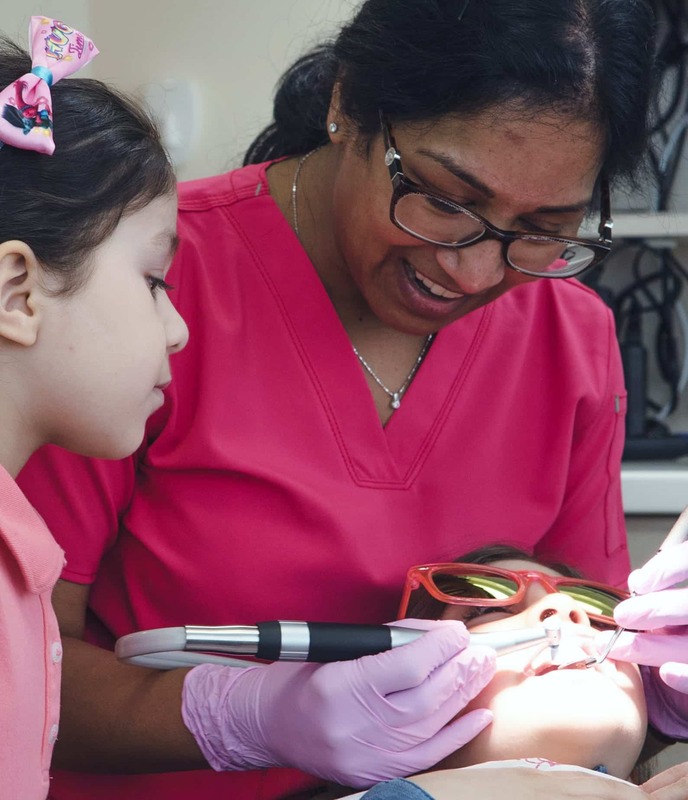 Pediatric dentists are dentists who undergo a further three years of training to become experts in children’s teeth, their growth and development, their emotional development, and how best to restore their teeth. We provide the ideal environment to make your child feel at home. We encourage early good habits so dental problems can be prevented; a practice children can take with them into adulthood. Children’s dentition undergoes many changes and is very transitional, which is why it requires regular monitoring. We monitor growth and development and ensure any problems are picked up early. Children’s teeth are very different to adult teeth and have a special role, which is why we’re specialized. Another aspect of our expert training is the management of children and adults with special care needs. Dr. Anu has extensive training with special needs children. She also has over ten years of experience with special needs children. Prevention is always the best policy. Regular check ups can pick up problems early and can prevent difficult and prolonged treatment. Regular check ups can ensure your child is not in pain.